READ THIS BEFORE YOU POST ANYTHING! Log-in and start your engine up ! Sup guys this is YOUR chosen platform for all updates,news and reviews on Vanguard. Hosted by our spec team and all the contributors of the forum which is in fact YOU. 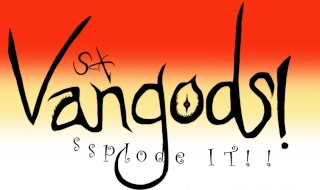 So when there's questions/doubts or just some deck drearies,Vangods is the place to go. Vangods trading place is here. You can trade, buy or sell cards here. 1. Comment is allowed, but no vulgarities and trolling is allowed. We want to keep this community peace and sound. 2. We assume that most of us beware of our own attitude, so please don't back out on any deals that you have made, except you have made an agreement with the person you are dealing with. 4. Cancelling deals is a normal thing, but of course, with a consent from the person you are dealing too. Jump to: Select a forum||--Vanguard Discussion and whatsoever| |--Animes| |--Cards discussions| |--Others| |--Decklists| |--Rules and Regulations| |--Royal Paladin| |--Kagerou| |--Nova Grephler| |--Oracle Think Tank| |--Shadow Paladin| |--Side Clans| |--Mix-ed Clans| |--Vangod's Deck Garage| |--Post your deck here !| |--I wish for a ..... decklist| |--Vangods WTT/WTB/WTS |--WTT/WTB/WTS |--Complaints and report cases HERE!